Introduction. During my career I had the opportunity to observe Chinese culture in Malaya, Indonesia and the Solomon Islands and latterly in Australia. Although domiciled in these host countries the Chinese retained a strong affiliation with China and their heritage. A desire to support core interests of the Chinese nation. A recognition the islands in the South China Sea belong to China. Australia might be faced with a crisis situation. These sentiments are the appropriate views of an overseas Chinese elite. It is significant the Chinese Embassy in Canberra has, apparently, made no public comment but it is certain there would have been tacit approval. Over the past two hundred years China has experienced European aggression, colonialism and commercial exploitation, these yokes are no more. There is a growing awareness among the Chinese population and the diaspora of 19th and 20th century history and of the dawn of the “Asian Century’. There is a realisation the ‘Asian Dream’ is gaining momentum which engenders confidence and assertiveness among the rising intelligentsia. Discussion. 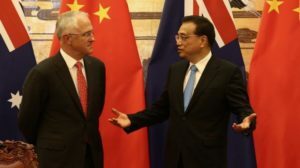 The wording of the published communique (SMH, 13 April) presents an exquisite problem for the Australian government vis a vis relations with China and with current multicultural policy. As a dictatorship, guided democracy or a Communist regime there would be a simple solution. As a democracy with enshrined free speech there are clearly more than fifty shades of grey at a time when tensions are increasing. With Australia supporting iAmerica in the right of untrammelled navigation in the South China Sea the comments of the Patriotic Association are unhelpful. 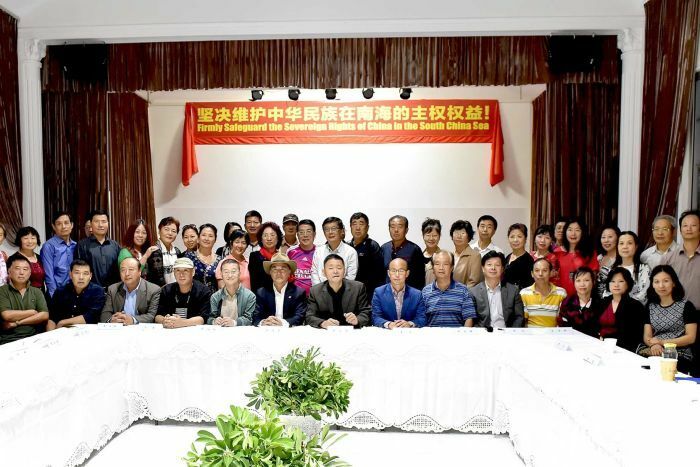 Its stance could encourage more Chinese Australians to support its philosophy. Remember the Chinese student demonstrations in Canberra in 2008 involving policy on Tibet. It could take only an inflammatory speech or an emotive cause to mobilise a cast of thousands. It is certain the Chinese government is aware of this anti-Australia stance. It would be noted if if the voice of the Patriotic Front was silenced. The implacability of Chinese negotiation tactics should not be under estimated In 1981 President Deng Xiaping met Prime Minister Margaret Thatcher to discuss the Hong Kong handover in 1997. The talks ended with the comment by Deng Xiaping “I could march into Hong Kong any time and take it over if I wished.” President Xi Jinping cannot be any less forceful. Multiculturalism. 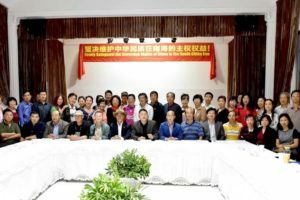 The second issue is the effectiveness of Australia;s multicultural policy in relation to the unpatriotic stance of the Chinese Patriotic Association of Australia. At a security conference in Germany (BBC, February, 2015) the United Kingdom Prime Minister stated multiculturalism had failed. British policy should have included a greater requirement for inculcation of a stronger national identity that could have reduced extremism. Current policy in Britain promotes a sense of separateness not integration.. National ethos that encourages a sense of Britishness is required. A similar logic could apply to Australia. However accommodating multiculturalism might become in Australia it is unlikely the Chinese diaspora will ever forgo their culture or allegiance to their roots. Australian Defence Force rejects Public unease. April 2016, Pt 1.